My name is Nicolas. 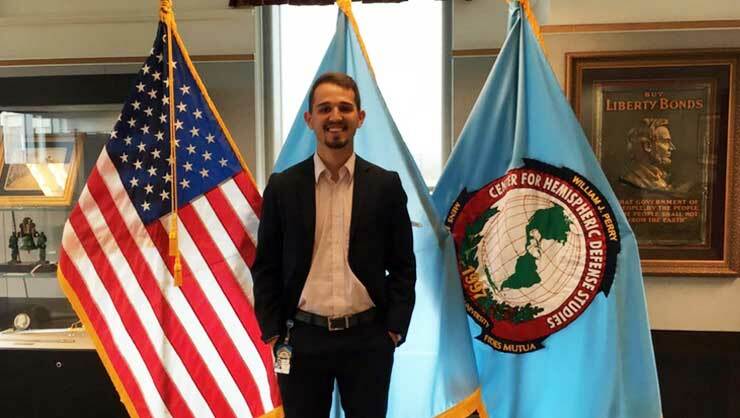 I am from Colombia and I completed a six-month internship in Washington, D.C. at the William J. Perry Center for Hemispheric Defense Studies. 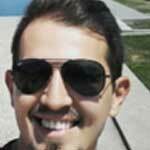 Nicolas had an insightful internship experience at the American Defense Department. My internship experience in Washington, D.C. was very interesting and enriching, considering that I was able to observe one of the most controversial political campaigns. As a student of International Relations, the political campaign helped me to better understand the election process to choose a U.S. President, which is very complicated. The U.S. electoral system was built under two pillars - the popular vote and the electoral college - and it was something I studied at my University, but I never had the chance to experience it. Moreover, the internship itself created opportunities to meet new people and improve my skills as a political and security analyst. Working with the Department of Defense deepened my understandings of the U.S. Defense institutional structure and the challenges my region, Latin America, faces on a daily basis in overcoming threats such as transnational organized crime and cyber-terrorism. I'll always remember the Pentagon tour that I had the chance to do. It was incredible to get inside in one of the most protected buildings in U.S. where the U.S. Department of Defense is located. While I was walking through the hallways I couldn’t stop thinking about all the secrets and history this building has. Another amazing moment from my time in U.S. was when I was chosen by the U.S. State Department to be part of the I-LEAD (Intern-Leadership and Development) program in Seattle. The program was only one week; however, working and sharing almost 24 hours with interns from 28 different nationalities was amazing. The program not only gave me friends but also new skills as a team leader and as a team player. My experience in the United States was important for my personal and professional development. I opened my eyes to new horizons that I had not considered before. It pushed me to keep looking forward to new experiences. I alway remember my father’s quote, “There are three things in life that you can’t get back: the word said, the arrow thrown, and the opportunities missed.” I am glad I did not miss this opportunity! Nicolas was a political science and government intern at the William J. Perry Center for Hemispheric Defense Studies through Intern USA.